There are many questions that travel bloggers can answer easily. How to get there. Where to stay. What to do in a certain destination. But if you want them to stop dead in their tracks and give them a hard time, ask them what their favorite place is. And that’s exactly what we did. We asked them what they thought was the best beach in the Philippines. While some were able to blurt out their choice in an instant, many had reactions that were quite amusing. That’s a tough one. Do I really have to pick? Just one? Does it really have to be just one? And who could blame them? With 7,107 islands, the Philippines has more than its share of spectacular beaches! And choosing just one is not an easy task at all. There are a lot of things to consider: the sand, the landscape, their personal experiences. Still, after a long time of bugging, pushing, and — sometimes — blackmailing begging, they were able to give an answer. Freckling the waters off the coast of Vinzons, Camarines Norte, the Calaguas group of islands hide pretty little secrets. In recent years, however, they are discovered by more and more beach chasers, who easily fall in love with the place. Angel Juarez (aka Lakwatsero) is one of them. His absolute favorite? Mahabang Buhangin in Tinaga Island, the biggest in the group. Byron has an equally pristine choice — Nacpan-Calitang Beach. Just when you think El Nido is done blowing your mind with its hidden lagoons and secret beaches, you get beach-slapped with two long strips of white sand. Nacpan and Calitang Beaches are two separate beauties that find each other and meet by a hill. More photos here: Nacpan Beach. Although not as famous as neighbors El Nido and Puerto Princesa, San Vicente is nothing short of stellar. This relatively low profile is what makes this peaceful town appealing to some travelers. Its forests are undisturbed and shores almost untouched. It is perhaps the reason Port Barton, one of its 10 barangays, is the top choice by Edgar Alan. Read more about his adventure here: Port Barton. The blade-shaped province of Cebu is rich in historical sites and grand churches but it is also teeming with natural resources. Its coasts and outlying islands cradle pockets of white sand. Bantayan Island, off its northern tip, is dumped with some of the finest! Brenna puts this tropical paradise on the top of her list. Less crowded and less busy than the other famous island destinations in the country, Bantayan Island is perfect for those who chase beaches for a time of relaxation and reflection. It looks like rough roads lead to the best beaches. Anguib Beach may be in Luzon but it is on the far end of it, around 12 hours away if you’re taking the bus from Manila. But Anguib’s remoteness is what makes it extra special. The usual delights are there: fine sand and clear water but its real charm is its very quiet atmosphere and the feeling that you own every bit of it. Hmmm… Intimate! Now you’re paying attention. “We rented the whole sandbar, prepared meals by ourselves, and slept on a hammock,” he adds. Not what you’re thinking, apparently. Read more about this unforgettable island escapade at: FlipTravels.com. Learn more about Naked Island or view more photos at: HarryBalais.com. Curious? Here’s more information: Buluan Beach. 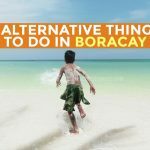 And you thought this list would end without a mention of Boracay. Not gonna happen. 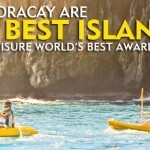 Boracay is often dubbed the best beach in the Philippines, and in Asia according to the latest TripAdvisor survey. While many are complaining about the island being too commercialized, Boracay still has a few less chaotic nooks. Diniwid Beach is one of them. Check out their original post about: Diniwid Beach! This is just the first batch. Which of the beaches above have you graced with your presence? 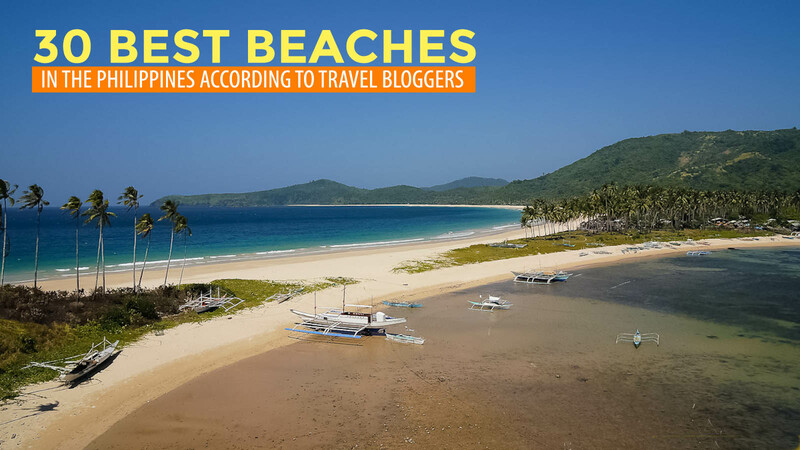 What other coves and shores will make it to the next wave of our list of the 30 most beautiful beaches in the Philippines? Make sure you speak your mind in the comments below! U R VERY RIGHT!! PINAS IS D BEST!!! I still need to explore more but for now its Bantayan Island for me. That picture you got there is Anika Island Resort , I love that resort. I like the Boracay Island and the white, long sandy beaches that runs from coast into the sea and several meters out before it meets the coral reefs. This forms a crystal clear pool like water that makes you don’t wanna leav the place…Their all so great hence, I believe Boracay should be ranked Philippines top isle of paradise…Other destinations are also better. Before the transformation of Mahabang Buhangin (Calaguas) into mini-Boracay, I agree that is it indeed beautiful and must be part of this list, but now? No, Not anymore. Its mystic beauty has already been gone. I hope kalanggaman Island in Palompon,Leyte will also be included in the list. It’s indeed a very beautiful paradise island. I believe Boracay is still the best beach for me, you got the best of both worlds, from the serene, tranquil beach bumming in the morning, to a party beach place at night, I love how it transforms from a paradise during the day, to a party haven at night! I believe it is still the top ranking beach, coz every beach I go there is this tagline which goes like ” mini-Boracay” “Boracay of the north” “better than Boracay” “sands like Boracay” and the likes.. like they wanna be compared or at least be matched up to Boracay. Is Palaui on the list? Gigantes Island? I need to check the rest of the article… inspiring! I have to bookmark this one! heheheh… thanks! CNN BEST 100 Beaches in d World , There 3 from the Philippines…. OUR OWN!!! Where are the rest of 30 ? What a great article, incl. the maps! Will totally share that! Salamat! I’ve been lucky that I lived in the Philippines…we have a lots of beautiful natural beaches and no need to travel abroad….I loved this paradise…. I like of course nice beaches but I’m probably even more interested in sea bed, corals & coloured fish, then last but not least, clean and not too crowded places. Do you have any articles on the best scuba diving in The Philippines? Going back to the ancestral homeland and was wondering where are the best places to dive. Theirs so much world class beaches in the Philippines. I think the PANGLAO beaches in Bohol is also awesome, so with the WHITE BEACH in Camaguin. 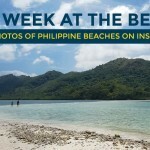 I noticed, the beaches in CORON, GUIMARAS were not included in the lists, it should also top. The Nakpan-Calitang Twin Beach in El Nido is truly breathtaking. We were their last July 04, 2013 our last day in El Nido before going back to Puerto Princesa. We are supposed to tour the “D” during that day but because of the insistent of our companion that we have to visit this beach after seeing it in your blog. We took the boat by 45 minutes & visited other nearby beaches before reaching this beach. It was a relaxing experience, no other tourists have gone during the day. Our group were the only invaders, hehe. To sum it all, El Nido is truly awesome and so with the rests of Palawan truly heavens gift to the Filipinos and humanity as a whole appreciating God’s marvelous creations. Kudos and let’s explore more of Philippine’s nature beauty. Nacpan/Calitang is usually devoid of tourists. This place easily tops my list! According to locals, the biggest island fronting the main beach is owned by Manny Pacquiao! wheres the rest of the 30s? Isla de Gigantes in Iloilo should be in the list. This website is awesome! Thanks for the information. SA ISANG ISLA BA ITO? DI BA TYPHOON PATH ITONG PART NA ITO NG LEYTE? This is in Palompon Leyte. I’ve been there last 2013 before Yolanda struck and the place is nice. There is a 1 hour boat ride from the mainland of Palompon. You have to pay entrance fee of 230 per person. Boat fare ranges from 3,500 to 4,500 depending on the size of the boat. The rented boat will remain on the island until tourists goes home the next day. The island has no electricity and no hotels. They have cottages that you can rent out so it is advisable to bring tents. The place is beautiful with three sand bars accessible through walking or kayaking. There are also other water sports available on the island. This is one of the must-visit islands in Leyte. 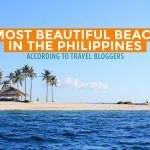 Speaking as someone who specialises in the Philippines, it’s great to see articles like this, promoting the beauty of the country and its beaches. Lovely. Should have 1 link version of these so that I can share one only in facebook. wow super namangha ako sa mga nakita kong mga larawan….pupuntahan ko yan,,,,gawin ko cover photo para ma ing gan nyo ko mga fwends ko sumama sakin…. I LOVE THE VIEW !!! GIGANTES ISLANDS at the north-easternmost part of Iloilo is a must-see for beach-lovers, rock-climbers, divers and nature-trippers. Caves await you to explore, corals to view and people to befriend with. ISLAS DE GIGANTES in Carles, Iloilo is a place to see. with so many things to offer, one can choose what kind of sand beach to walk, caves to explore, lagoon and sand bars, corals to snorkel and rocky mountains to climb. I think Pagudpud of Ilocos Norte is also a beautiful place. It’s clean, calm, and beautiful. we went to Pagudpud with my family (we were 16 in all) july 2010 and stayed at Hannah’s. for 2nights. the beach is good no trash but pieces of wood and seaweeds were washed up to shore and nobody cares to clear it up. and the sea is rough and murky for an enjoyable swim. if Boracay is to be the gauge on which to compare this beach it will be in the very bottom of the scale. but we went to see the viaduct and the windmills which no other province had. and by the way I am an Ilocana who migrated to Or. Mindoro in the early 50’s. We visited my brother in Suyo,Ilocos Sur and the green mountains, waterfalls and the hanging bridge is worth the travel. 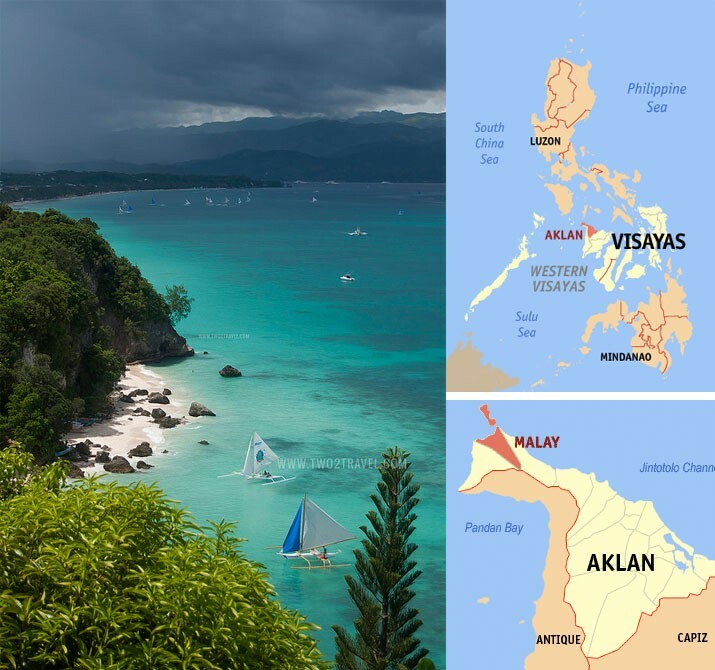 I havent seen the list but i would love to include our own in Aurora, Casapsapan in Dilasag Casiguran Aurora Province, try to search it, pero same with other post mas maganda hindi madiscover para di masira yung nature… kami kami nalang hahaha…. Great post. So where are the other 20 beaches? I’m a Filipino-Canadian, and haven’t travelled much back home, but now I’m intending to do it more because of this article. Unspoilt , very lovely beaches all in Quezon proince. There are so many beautiful beaches in the Philippines, that’s why I love my country! My friends and I make sure we travel to a local spot each year and I blog about them. 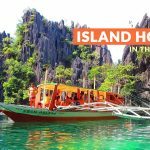 I want to share a post I’ve written //firsttimetravels.com/a-first-time-travelers-3-best-kept-secret-islands/. You can also find other Philippine beaches in my site. 🙂 Thanks for this post and looking forward to more!!! Can we have some tips on how to go to these places…thanks a lot and mabuhay! Islas de Gigantes, Carles Ilo-ilo is one awesome beach too. All I can say is that we Filipinos are very Lucky to have all of these Beautiful Beaches that surrounds our country… All we have to do is explore it and not to exploit it. Sabi nga… WAG MAGING DAYUHAN SA SARILING BAYAN. Wanniban Island, Mati City, Davao Oriental…. This website is superb! Very helpful and I must admit….I’m your avid fan. I hope Caramoan beaches may be included in your lis. Looking forward to more informative and thrilling blogs! Guys, I am renting out our studio condo unit at PICO DE LORO Nasugbu Batangas. Please email me at marvsdg@gmail.com for more details. Yes, I agree! Bolinao should be included here. Bolinao has many things to offer especially with the beaches as well as the undeniably primordial caves which will exquisitely amazed you with its natural and original designs. Very beautiful! How do we get there? I always dream to live in this area. anguib beach in sta. ana, cagayan is awesome! saud beach in pagudpud, ilocos norte is awesome, too! Pingback: Summer Destination?? Why not CALAGUAS ISLAND.. | HAVE FUN WITH US!! NICE DESCRIPTION OF THE BEAUTY OF THE BEACH. BUT I NEED INFO ON HOW TO GET THERE.